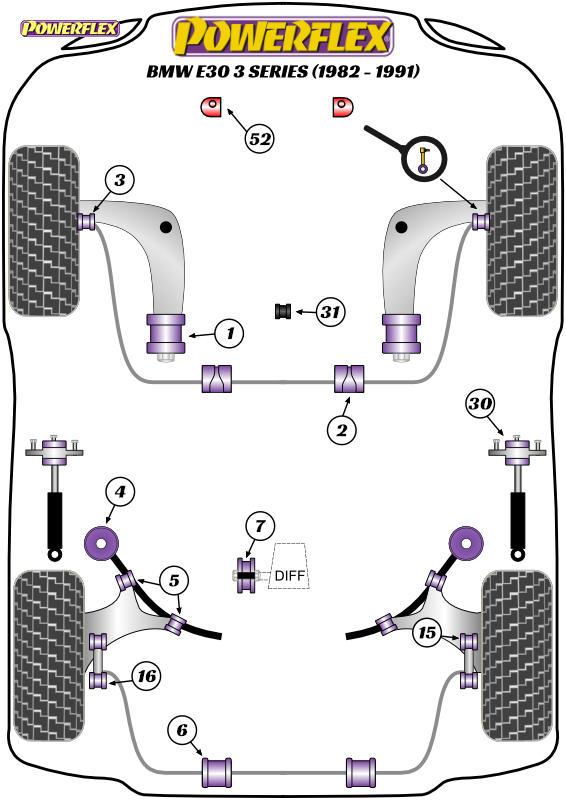 Suits cars with a standard and aftermarket rear shock absorber with a 10mm pin. Will not fit E36 and E46 Cabriolet models Suspension Brand Rear Shock Absorber Shaft Diameter Original BMW 10mm AST 10mm Bilstein HD, Sport, PSS Coilovers 10mm FK Coilovers 10mm H&R Coilovers 10mm JRZ RS 12mm Koni Sport 10mm KW V1, 2, 3 10mm ST Coilovers 10mm Tein Coilovers 12mm The above list is meant as a guide only. If your shock absorber brand is not listed,measuring the OD of the shaft will determine whether PFR5-5630-10 orPFR5-5630-12 should be fitted.